Challenge for Daily Jumble December 8 2018 Answer to solve the scramble words of NOOEZ, LIYHL, RAURHH, TUNMTO, ONEHILHRAHUTTO with word solver for classic daily word scramble game that delivers brain teasing fun. 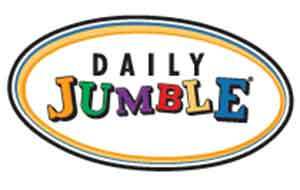 Daily Jumble 12-8-18 THAT CLASSIC scrambled word game delivers new brain-teasing fun. How fast can you solve it? Tap the HINT button if you are stuck. Buttons will re-arrange themselves when solving clues to save space on smaller devices. After solving the puzzle, use the calendar button to select another daily jumble game for this month from the archive. Continue to the next Daily Jumble December 9 2018 Answers.